Our tiny, yet remarkable little island of Britain has seen some staggering changes throughout its history. From savage invasions stretching back all the way to the Anglo Saxon (449 AD) and Viking raids (787 AD) , to the invention of the British Printing Press (1476) – and from the colonization of the new world in the 1600’s to the Industrial Revolution in the 19th Century. Truly epic stuff has happened. Empires have been built. Empires have crumbled. In more recent times however, nothing has quite shook up the business landscape quite as vigorously as the internet – and social media. Without being dramatic, you can no longer ignore social media – not anymore. Or you and your company really could risk ending up as an insignificant little footnote buried deep within the scrolls of business history. What Is Social Media & When Exactly Did It Emerge? Commonly, “Social Media” refers to the process of attaining site traffic and visitors through the plethora of social sites that now feature so keenly in most peoples everyday lives. Did you know that according to research by pewinternet.org, 8% of US adults use Twitter on a daily basis (and that number rises to 15% if you go by general usage). When exactly the concept of social marketing was born is rather less clear and open to some level of conjecture. Arguably, the first ever instance of it was the first ever email (1971), however the earliest traces of widespread social interaction through a media site was probably in the mid 90’s through social sites and bulletin boards such as Geocities. Over time, social sites became increasingly sophisticated – invasive even – with the likes of Facebook facilitating interactive games and even the sharing of personal photo albums and the like. With this rapid evolution of technology, and with the internet claiming an ever larger presence in the offices, homes and now phones of your customers – now is certainly the time to embrace and implement social media as a crucial little cog within the marketing engine of your business. What Are The Top Social Media Sites To Join? Effective use of social media in your business means constantly knowing which sites are pregnant with the most traffic and users. There are actually hundreds of social sites out there, but from a social marketing angle you’ll siphon off the most traffic, and clients, from just a mere clutchful of them. The 80/20 rule certainly applies here. 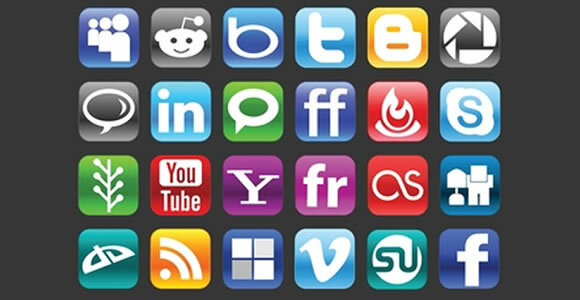 Keep in mind, there may well be some industry specific social sites that you will want to join too. For example, many hoteliers use the massive social travel site “Tripadvisor” to connect with people who have booked with them. The site allows them to respond directly to customers, and show potential clients that they are switched on and genuinely care about suggestions, feedback and customer satisfaction. Do a little digging and poking, and you’ll almost certainly find social network sites within your own niche, crawling with potential customers. It’s been proven time and again, the more personable you can appear to customers, the more business you’ll drum up. Social media allows you to flirt with your clients and potential customers. Whether they’re giving you the old thumbs up as friends on Facebook, or following your tweets – you’re building a crucial and priceless brand following. Without paying so much as a penny for the privilege. Customers across all industries are becoming more savvy – with notably smarter research habits and a strong desire to see proof about your product claims. A clever social media campaign allows you to weave in testimonials that are psychological gold dust in getting your customers to pull on the buying trigger. No matter what your industry, I bet the most successful companies within it have switched on their social marketing campaigns. They’re building brand loyalty and getting a captive audience to pitch to, while you’re still faffing about with ads in the Yellow Pages. According to stats published by Emarketer, a whopping $3.8bn was spent on Facebook advertising alone in 2011, and that number is set to almost double by 2012. I don’t have a single friend who’s not on Facebook. Do you? Consider that Facebook is creeping towards a billion users, youtube amasses 4 billion views a day, and the other popular social media sites easily have over a billion users combined – do you really want to ignore such a raw and pulsing supply of traffic and clients? Increasingly, Google is turning to top authority sites – like your Facebook’s and Youtube’s – to see what ranking your site should receive. The more presence you have within the top social media sites, the better organic ranks and free visitors you’ll nick from the worlds largest search engine. Striking the right balance between knowing which sites to build a presence in and which to avoid is key. Using smart technology that can build your presence in multiple sites with minimal man hours could help you garner a presence without spending too much time in the process. Because social media sites are practically an open book, if you’re not careful you could have disgruntled clients posting negative comments about your brand. It means you need to monitor your social media accounts periodically. The new millennia has arrived. There may be no angry Vikings around anymore. Neither will we see any towering industrial chimneys, or heartless, cigar munching tycoons strutting about their seemingly economically impregnable factories. But don’t for a second believe that you or your business world is safe from change. Threats and opportunities will always come at us – they just take on different forms. Like the internet. And more specifically, social marketing.